A heart attack, or myocardial infarction, results from blockage of arteries that deliver oxygen-carrying blood to heart tissue (NIH). 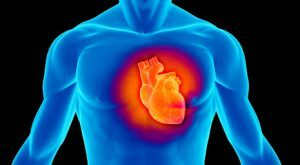 Once the cells of the affected region die, the heart’s wall may grow so thin that it ruptures, or the heart’s force of contraction can decrease to the point that it is nonfunctional. Heart failure is a major medical problem for both patients and physicians. In the United States alone, approximately 5.7 million people 20 years or older had heart failure, according to data collected between 2009 and 2012. Moreover, there is approximately a fifty percent probability of death within 5 years of diagnosis (Mozaffarian et al., 2016). Angiogenesis, the formation of new blood vessels from preexisting ones (Robich, Chu, Oyamada, Sodha, & Sellke, 2011), is a key process to delaying the progression of heart failure. Angiogenesis helps heal damaged heart tissue by restoring blood flow, and scientists have worked to investigate and stimulate this process because of its beneficial potential. My research project explores angiogenesis throughout the full timeline of heart failure pathology—up to 56 days after myocardial infarction in mice models, or 10 years after myocardial infarction in humans. I also want to determine if there is a relationship between angiogenesis and lipoxygenase 12/15, an enzyme that forms metabolites which can aggravate or inhibit disease, depending on the context (Conrad, 1999). Mice are lipoxygenase 12/15-deficient heal better and have a higher survival rate after myocardial infarction than wild type mice, but the reason for this is unknown. My project is important because previous studies have primarily focused on angiogenesis during a single stage after myocardial infarction, but to fully understand this healing process, we must look at its entire duration. Also, some humans express lipoxygenase 12/15, whereas others do not; if we can understand the role of this enzyme in heart failure pathology, then we can offer more exacting prognostics to patients. To put it simply, my summer research experience has been a continual learning process. Although all of the projects are related, there are so many different types going on simultaneously within the lab. I have gotten the opportunity to observe or help with various types of procedures, such as mice surgeries, exosome measurements, gene expression, and multiple stainings. I have also practiced patience, perseverance, and adaptability, as we have encountered numerous technical difficulties. The histology staining for my slides was not strong enough after my first two attempts, and it was difficult to pinpoint exactly which part of the process or handling was at fault. We had to troubleshoot multiple steps of the protocol and encountered problems with back-ordered supplies before we realized that an antibody used in the staining was getting older and therefore losing its potency. I also tried changing a step of the protocol based on new information, and that seems to have worked better than the original instructions due to the changed circumstances. Because of these issues, we have had to start over multiple times. There is always work to do in the lab, and I have had to strike a balance between multitasking to get things done, but not taking on too much lest I make a mistake. I like that there are multiple projects going on within the lab, so although they are all related to the cardiovascular system, there is still a decent amount of variety. However, a good many of the protocols require repetitious procedures or long waiting periods, and those are far from my favorite parts. As for working with a lab team, that has been extremely enjoyable. I have made several good friends within my lab, and we learn from and support each other. We are always willing to help each other and therefore work well together, which not only makes for a better working environment, but also makes completing the work itself more efficient. Conrad DJ. The arachidonate 12/15 lipoxygenases: a review of tissue expression and biologic function. Clinical Reviews in Allergy and Immunology 17: 71-89, 1999. Mozzafarian DM, Benjamin EJ, Go AS, Arnett DK, Blaha MJ, Cushman M, . . .Sandeep RD. Heart disease and stroke statistics—2016 update: a report from the American Heart Association. Circulation: e308-309, 2016. NIH – National Heart, Lung, and Blood Institute. Myocardial Infarction. (n.d.). In PubMed Health Glossary. Retrieved from https://www.ncbi.nlm.nih.gov/pubmedhealth/PMHT0021982/. Robich MP, Chu LM, Oyamada S, Sodha NR, Sellke FW. Myocardial therapeutic angiogenesis: a review of the state of developmental and future obstacles. Expert Rev Cardiovasc Ther. 9(11): 1469-79, 2011. Carolee (MeMe) Collier is a rising senior majoring in English, pre-med at Auburn University in Auburn, AL. She is a 2017 Short-Term Research Education Program to Increase Diversity in Health-Related Research (STRIDE) Fellow working in Dr. Ganesh Halade’s lab at the University of Alabama at Birmingham in Birmingham, AL. MeMe’s fellowship is funded by the APS and a grant from the National Heart, Lung and Blood Institute (Grant #1 R25 HL115473-01). After graduation, MeMe plans to attend medical school and later use her undergraduate and professional degrees to become both a physician and an author. She also hopes to utilize her research experience by getting involved in clinical research during her career. My research project is primarily focused on how different doses of a chemotherapy drug, Streptozotocin (STZ), affect channel catfish. This drug has been commonly used to treat pancreatic tumors and induce hyperglycemia, or high blood sugar, in rodents. We are using channel catfish as alternative model organisms for investigating human metabolic disorders such as obesity and diabetes because these fish have an accelerated growth rate similar to the phenotype observed in obese and diabetic patients. However, administering STZ into channel catfish has been shown to display the opposite effect, resulting in a high mortality rate and hypoglycemia, or low blood sugar. Abnormal morphology of the liver and gall bladder has also been noted in past studies, possibly indicating liver damage associated with the STZ treatments. However, the exact mechanism(s) associated with the development of hypoglycemia and liver damage after the administration of higher doses of STZ has never been examined in channel catfish. My biggest contribution to this experiment has been to study the expression of the Hyaluronan synthases (HAS2 and HAS3), which are membrane-bound enzymes in mammals, in various catfish cDNA samples before and after injection of STZ. These enzymes are directly related to the production of Hyaluronan (HA) in the blood in response to severe tissue damage. Conducting research in a laboratory setting is very much how I expected. I had minimal pipetting experience from a biochemistry course I had previously taken, so I knew perfecting my technique should be first priority. This basic skill is so important in ensuring that the data I am collecting are going to be accurate and useful in the final analysis. 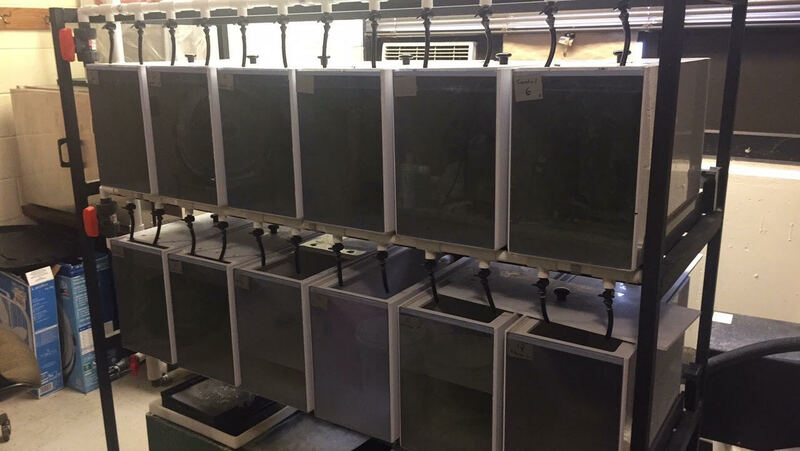 I found it interesting that the assays we were conducting were extremely sensitive to the surrounding environment and realized the importance of keeping a clean laboratory space. 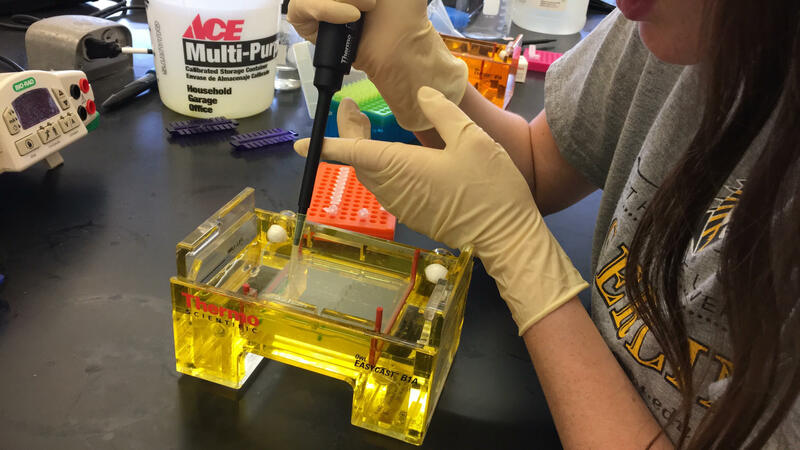 A peer in my lab experienced some setbacks involving contamination in the blank tube of her PCR results. We were able to detect the contamination through a picture taken after gel electrophoresis, and we were then able to try to identify where the contamination could possibly be coming from. We eventually had to take a full day to clean the entire lab bench with ethanol and a bleach/water solution to try to get rid of the problem. There haven’t been any issues since the lab group took that step. My results in this experience so far have been as expected. I haven’t found an expression of HAS2 or HAS3 in any tissue samples collected from catfish before STZ treatment by just using the basic PCR and gel electrophoresis technique. This is not surprising. My mentor has explained that these enzymes would not be expressed in high amounts until after the fish have been injected with STZ because they are related to the repairing of tissue damage. Because low concentrations of HAS should be expressed in some healthy tissues, however, my mentor has just recently taught me how to conduct real-time PCR to visualize the results in a different way. Once STZ treatment is complete, I do expect to be able to visualize HAS2 and HAS3 mRNA expressed at a higher concentration, primarily in the liver. Overall, my research experience has been a very positive one. 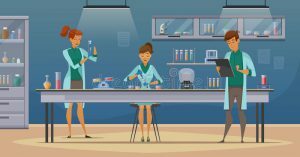 I have realized how important working as a team in a laboratory setting is. It is very useful to understand what your peers are experimenting on and be available to help them along the way. This leads to building strong relationships and a plentiful collection of data. I have also learned that it is important to stay flexible throughout experimentation and to understand that getting no results is not necessarily a bad thing. It just means that new options and techniques need to be explored to find exactly what you are looking for. My mentor has been great at keeping me and my peer motivated throughout this experience by answering any questions we have and helping us, whether the issue is not getting results or getting results that are contaminated. The best part about working in a lab is leaving each day feeling accomplished and knowing that I am learning so many new things. Another great aspect of my summer research is that I can feel myself becoming more confident with the procedures I have learned as time goes on. I find myself asking for less help and getting things done correctly in a timelier manner. The worst part about research is going through a lot of small steps and spending time on assays that do not show any results at the end of a long day. I sometimes feel as if time is wasted when this happens, but it is important to remind myself that no results still reveal something about the overall experiment. Nevarez E, Ordonez-Castillo N, Spainhour R, Kobayashi Y. Treatment with Streptozotocin (STZ) causes hypoglycemia and alters the stability of reference genes for real-time PCR analysis in the liver of channel catfish [Online]. The Official Journal of the Federation of American Societies for Experimental Biology. http://www.fasebj.org/content/31/1_Supplement/1014.3 [12 July 2017]. Itano N, Sawai T, Yoshida M, Lenas P, Yamada Y, Imagawa M, Shinomura T, Hamaguchi M, Yoshida Y, Ohnuki Y, Miyauchi S, Spicer AP, McDonald JA, Kimata K. Three Isoforms of Mammalian Hyaluronan Synthases Have Distinct Enzymatic Properties [Online]. Journal of Biological Chemistry. http://www.jbc.org/content/274/35/25085.full [12 July 2017]. 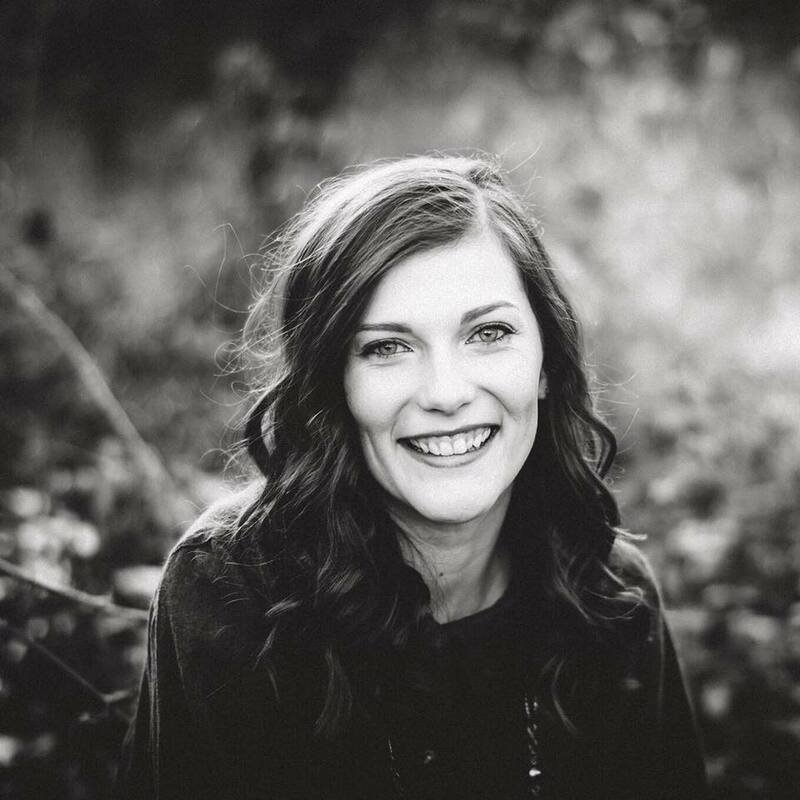 Megan Dougherty is an upcoming senior majoring in Biology with an emphasis in Health Professions at Fort Hays State University in Hays, Kansas. She is a 2017 Integrative Organismal System Physiology (IOSP) Fellow working in Dr. Yashiro Kobayashi’s lab at Fort Hays State University in Hays, Kansas. 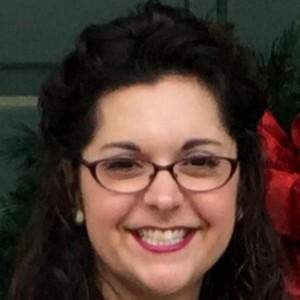 Megan’s fellowship is awarded by the APS and a grant from the National Science Foundation Integrative Organismal Systems (IOS) (Grant #IOS-1238831). After graduation, Megan plans to attend a graduate program in hopes of pursuing a career as a physician assistant or medical technologist. The Larson Lab focused on two main goals this summer. Firstly, we were interested in knowing if exosomes (or small vesicles that bud off of many kinds of cells) secreted from ovarian cancer cells interacted with platelets and altered the way in which the platelets behaved. We isolated platelets from blood samples and exosomes from cell culture dishes using differential centrifugation (multiple centrifugation rounds done at increasing speeds). These were allowed to interact with each other either on a tube or on fibrinogen to analyze both platelet activation and platelet spreading. For our second research project, we tested isolated platelets from Native American and Caucasian subjects to see if there were differences in platelet activation levels. Washed platelets from the subjects were exposed to 4 different chemicals (found abundantly in the body) at different concentrations to examine any differences in platelet activity. These experiments are both pertinent to biology: 1) exosomes are poorly understood, but have the capacity of becoming a biomarker for cancer patients, and 2) by determining differences in platelet activity between populations, drug treatments could be more specific to patients. Working in a laboratory is as exciting and tedious as it sounds. The first two weeks were the most challenging, since my team and I were all new to the lab, and had to habituate to the fast learning pace. Things became easier as we kept practicing, learning, and perfecting our techniques. My lab partners and I learned how to isolate exosomes, prepare and run a western blot, draw blood, wash platelets, and reinforced our practice in confocal microscope usage and cell culture. 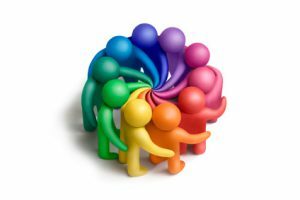 Many aspects of research work startled me, such as how long testing 7 blood samples can take, or how efficient a group of 4 individuals can be if there is communication. What surprised me the most however, was the amount of trial and error one has to go through to get consistent and reliable results. We are still analyzing data, so I cannot state whether the results are significant yet, but the data acquired looks promising. Thanks to the Augustana Nursing department and Sanford Research, we were able to make our project work. This summer I got a glimpse of what the life of a scientist is: it is unpredictable, rewarding (but frustrating at times! ), and tedious. I am glad our team consisted of 4 members, and I am certainly grateful we got along well; it made work far easier. Even though everyone did a little bit of everything, we all “specialized” in a particular task. Sarah kept records of the cell cultures, Katelyn imaged platelets, Kirby ran the flow cytometer, and I took care of the platelet test runs with the 4 chemicals. The worst part was the statistical analysis. It is tedious, it is messy, and it is not as…interesting. The overall experience however enhanced my technical and reasoning skills, and taught me more about how to behave, guide, and make suggestions as a leader. 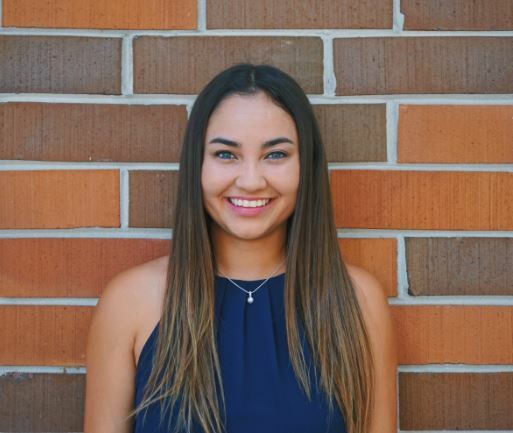 Tania Rodezno attends Augustana University in Sioux Falls, SD. 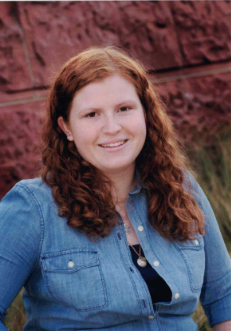 She is a 2017 Undergraduate Summer Research Fellow (UGSRF) doing research in Dr. Mark Larson’s lab at Augustana University. After graduating, she plans to attend graduate school and seek a PhD in either immunology or microbiology. 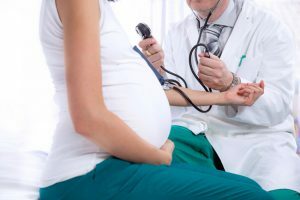 While the prevalence of obesity increases each year and continues to underlie many serious health conditions in children and adults alike, the genetic aspects and pathophysiology associated with the disease are not fully understood. Consequently, the obscurity of the mechanisms underlying obesity makes treating affected patients difficult. Now more than ever, as we face an intercontinental obesity pandemic, our knowledge about the disease must grow faster than the climbing obesity rates. Sources: NCHS, National Health Examination Survey and National Health and Nutrition Examination Surveys. The Src homology 2 B adaptor protein 1 (SH2B1) has recently been identified as a gene associated with obesity, and SH2B1 mutations have been identified in a large cohort of patients with severe early-onset obesity. Three of the human mutations identified in the obese patients are located in the pleckstrin homology (PH) domain of SH2B1. The Carter-Su Lab is currently studying one of these point mutations (P322S) using a CRISP-Cas9 generated mouse model. Along with the P322S mouse model, the Carter-Su Lab has also generated a mouse model with a six base-pair deletion that causes a 2 amino acid deletion (ΔP317, R318) in the PH domain of SH2B1. This mouse model is important because it explores the function of the PH domain, which seems to be important for the function of SH2B1, yet has not been fully investigated. For my summer research project, I have been working on determining the metabolic phenotype of the ΔP317, R318 mice. 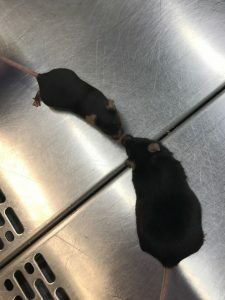 I have been measuring the food intake and body weight of a cohort of 48 animals, as well as performing glucose tolerance tests and insulin tolerance tests to investigate whether the six base-pair deletion affects glucose metabolism. I am also performing blood draws to examine levels of insulin and leptin, the latter of which is referred to as the “satiety hormone.” My project using the ΔP317, R318 mouse model will help investigate the function of SH2B1 in regulating energy homeostasis as well as provide insight into the function of the PH domain of SH2B1, which is conserved across species. This is all extremely important since understanding how SH2B1 works will provide insight that may enable identification of new therapeutic targets for obesity. Wild-type mouse (left) pictured next to a SH2B1β ΔP317,R318/ΔP317,R318 mouse (right). SH2B1β ΔP317,R318/ΔP317,R318 female on a scale weighing more than three times the amount of a wild-type female of comparable age. There are days when I feel extremely frustrated, days when I think I’ll be stuck in lab all night, and days when I feel like the luckiest person in the world just to be where I am, doing what I’m doing. The day-to-day life of a scientist is different every day, and that is what draws many of us to science in the first place. Science allows us to be innovative and creative and to spend each day with other people who share similar interests, working on different pieces of our own puzzle. Working as part of a lab team has provided me with an amazing support system, and I could not be more thankful for that. As a member of a team, you are responsible for pulling your own weight, which is both a blessing and a curse. When something goes right, that is on you, but if something goes wrong, you must take responsibility for that too. The biggest struggle that comes with this is managing your time effectively, especially when faced with so many time sensitive issues. Your animals will not stop aging; your cells will not live forever if they are not split. The life of a scientist is a roller coaster, but it is one that I would choose to ride each day. Overweight & Obesity Statistics | NIDDK. [online] National Institute of Diabetes and Digestive and Kidney Diseases. 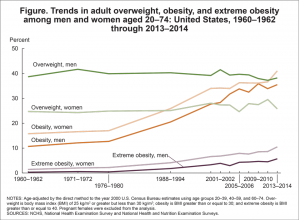 https://www.niddk.nih.gov/health-information/health-statistics/overweight-obesity [13 Jul. 2017]. Lauren DeSantis is a junior double majoring in Neuroscience and Spanish at the University of Michigan in Ann Arbor, MI. 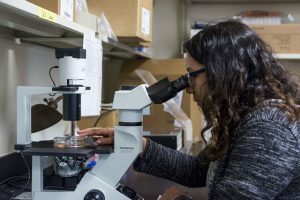 She is a 2017 Undergraduate Summer Research Fellow (UGSRF) doing research in Dr. Carter-Su’s lab in the Molecular and Integrative Physiology Department at the University of Michigan Medical School in Ann Arbor, MI. Lauren’s fellowship is funded by the APS. After graduation, she plans on pursuing her MD-PhD to become a neurosurgeon-neuroscientist. 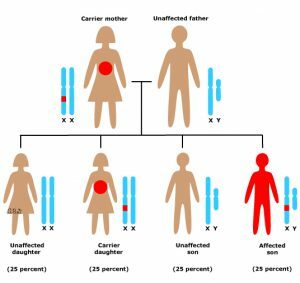 Duchenne muscular dystrophy (DMD) is a severe, progressive muscle wasting disease that affects about 1 in every 5,000 boys, and it is the most common fatal X-linked disease in the world. Individuals affected by this disease will start developing muscle weakness by the age of 5, usually lose the ability to walk by their early teens, and ultimately, they will succumb to respiratory or cardiac failure by the age of 30. In terms of treatment, however, there are very few FDA approved drugs and therapies that can help alleviate, delay, or lessen the symptoms associated with this disease. What my project aims to do, is identify a new potential therapeutic target in dystrophic muscle. Previous studies have shown that dystrophic muscle, as compared to normal muscle, is unable to properly dispose of the damaged organelles within the cell1. In order to help the cells properly reduce damaged organelles, I am increasing the activity of the protein PGC-1α, which in the past has been shown to be successful in improving neurological function by helping to clear and get rid of damaged cellular components in brain cells affected by Huntington’s disease2. The ultimate goal of this project is to identify if this is a potential treatment target to help individuals suffering from DMD. What are the pros and cons of working in a lab? Working in a lab can be both an incredibly rewarding and frustrating process. This summer I have learned how to do immunohistochemistry and how to western blot. These two techniques have laid the ground work for any new scientific endeavors that I may go on to pursue later in my career. However, what this summer experience has taught me more than anything, is that not everything, and in fact, most things usually do not go as planned when working in science. For example, I have run many western blots over the course of the summer, and before I develop, I usually have an idea of what I think the blot is going to look like. Sometimes the blot comes out exactly the way I thought it was going to, and sometimes it comes out completely different. It’s during those frustrating times when I feel I have grown as a scientist. I have to go and talk to my other lab members about why the data looks the way it does. We usually sit down, look at previous literature, and talk about what may be potentially causing the data to look the way it does. As this happens, my research team and I go back to our research question and shape it to fit our new and unexpected results. My day-to-day activities change every day. There really is no set schedule that I follow because my schedule is really dictated by the type of experiments that I am running that day. 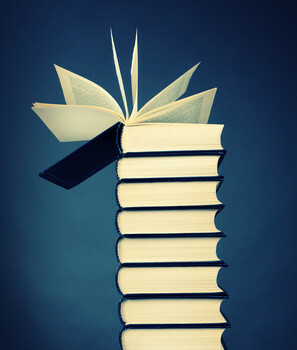 Some days are experiment heavy and some days are reading and writing heavy; it all just depends on the day. I think this is what surprised me most. When I began researching this summer, I figured I would follow a very set schedule. What I did not realize was that I would need to set aside a substantial amount of time to analyze data and compare it to similar experiments in other literature. I also get to talk with my other lab members and PI about the results and brainstorm with them about my data. I think that this is the best part about working in a lab. 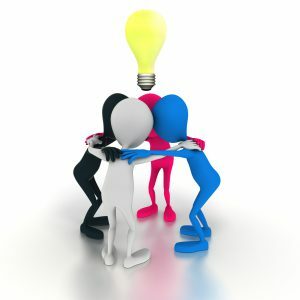 It is very rewarding when we work together as a team and brainstorm about what we think may be happening. The downside to working as a scientist is the frustration associated with experiments, which you have spent a substantial amount of time on, not working. Patience is important in life, but this experience has taught me that it is especially important in science. Palma CD, Morisi F, Cheli S, Pambianco S, Cappello V, Vezzoli M, Rovere-Querini P, Moggio M, Ripolone M, Francolini M, Sandri M, Clementi E. Autophagy as a new therapeutic target in Duchenne muscular dystrophy. Cell Death and Disease 3, 2012. Spada ARL. PPARGC1A/PGC-1α, TFEB and enhanced proteostasis in Huntington disease. Autophagy 8: 1845–1847, 2012. 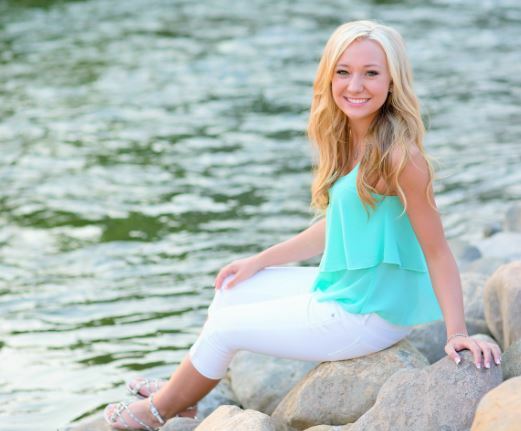 Amanda Ludwig is a junior at Purdue University in West Lafayette, Indiana where she is majoring in Biology. She is a 2017 Undergraduate Research Summer Fellow, and she spent her summer working for Dr. Joshua Selsby at Iowa State University in Ames, Iowa. 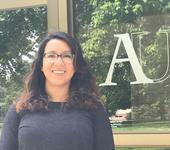 Amanda’s summer fellowship was funded through the American Physiological Society. Amanda’s post-graduation plans are still unknown, but she is interested in pursuing a career in medicine or biomedical research. The effects of Polycystic Kidney Disease (PKD) are astounding. 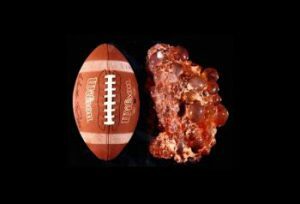 Kidneys, normally the length of a baseball, can grow to be the size of a football with fluid filled cysts covering the entire organ. Oftentimes, the disease can cause heart failure. This summer in Dr. Thomas Weimbs’ lab at the University of California, Santa Barbara, I researched one of the pathways that this disease affects. Specifically, a process called macroautophagy is necessary for kidneys to function properly. In macroautophagy, cells designate and target specific organelles or molecules to be broken down, send a structure to surround them, and then subsequently degrade the organelle or macromolecule (Johansen & Lamark, 2011). Yet in PKD, this process does not occur as it normally would in a healthy individual (Zhu, Sieben, Xu, Harris, & Lin, 2017). This dysfunctional pathway, among others resulting from the disease, results in kidneys that cannot function normally to remove waste from the blood and body. I am looking into what could regulate this decrease in autophagy. Is it the overexpression of a specific protein? And if so, what treatments mitigate this effect? Though this may seem to be a small part of the disease as a whole, it is important to understand the individual mechanisms and pathways within the disease to find new and effective therapies. Beginning this project was daunting. There is an incredible wealth of knowledge and research concerning Polycystic Kidney Disease that I had never been exposed to; I needed to look into these topics and understand background information so I could critically think about my project. Initially, reading scientific papers on this topic was very time consuming – I looked into every pathway, gene, and protein that I didn’t recognize in the literature. But slowly, this process be came easier, and the topics became more familiar. Now, 10 weeks later, I am more confident in my ability to read and understand the scientific literature that is closely related to this topic. 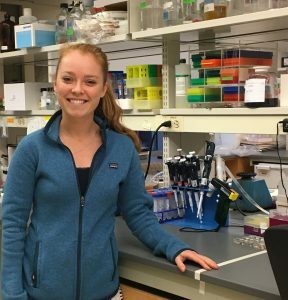 I am also more comfortable with the hands-on lab techniques that I explored and focused on during my research internship. Specifically, I dedicated many weeks to microscopy, a technique that I had not ever been extensively exposed to. I find it incredible to look at the cells that I cultured and treated with different drugs, plasmids or antibodies up close. And though I didn’t expect it, I actually find the photos that result from my immunofluorescence experiments quite beautiful – I think they look like multi-colored galaxies. These past 10 weeks have been both enlightening and frustrating at the same time – but mostly they have been rewarding. Though it was disappointing to have experiments that I spent over a week preparing yield no results, it was even more exciting when I did see results for the first time. I’ve learned the value of patience in the lab and careful, meticulous work. I’ve learned how important it is to put in outside work to reap the benefits of the environment you are in. And lastly, I’ve learned to not give up if something does not work. Instead, I analyze why it happened, and try again. This summer has exposed me to a new and exciting realm of biology. I am incredibly grateful for the opportunity to have been connected with new peers and mentors, and to make a little dent in a very big and profound research topic. Johansen, T., & Lamark, T. Selective autophagy mediated by autophagic adapter proteins. Autophagy 7(3), 279–296, 2011. Zhu, P., Sieben, C. J., Xu, X., Harris, P. C., & Lin, X. Autophagy activators suppress cystogenesis in an autosomal dominant polycystic kidney disease model. Human Molecular Genetics 26(1), 158–172, 2017. Madeline Matthys is a senior at Duke University in Durham, NC . She is majoring in Biology and minoring in Chemistry. 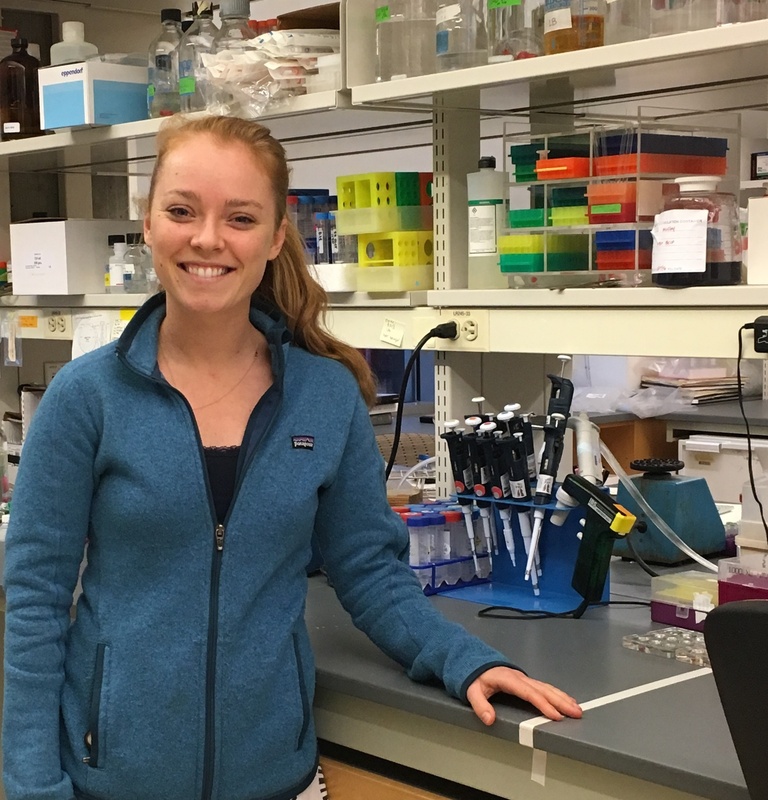 With the generous help of the American Physiological Society through the Undergraduate Summer Research Fellowship program, Madeline worked in Dr. Thomas Weimbs’ lab at the University of California, Santa Barbara in Santa Barbara, CA. Madeline plans to continue biological research and after she receives her Bachelors of Science, she hopes to attend medical school. My research project this summer focuses on the development of rehabilitative strategies used to combat respiratory dysfunction (the inability to breathe) in patients suffering from spinal cord injuries. Following a spinal cord injury, brainstem projections traveling down the spinal cord are severed, ultimately leading to paralysis of respiratory muscles such as the diaphragm. Consequently, breathing impairments are the primary cause of death for spinally-injured patients. This summer project focuses on a rehabilitative therapy known as intermittent hypoxia (IH) which involves brief and repeated exposures to low oxygen levels over a period of time. When given in low doses (>15 episodes/day), intermittent hypoxia can improve leg strength, walking function, and respiratory function in spinally injured rats and humans. On the other hand, high doses of intermittent hypoxia can elicit spinal inflammation and other pathological consequences. My study seeks to determine whether activation of a certain protein kinase that acts as a marker of inflammation, p38 MAP kinase, is increased in all dose protocols of intermittent hypoxia or just high dose intermittent hypoxia. Assessing the impact of p38 MAP kinase phosphorylation/activation is crucial for the development of safe and effective methods to restore respiratory function in individuals with a spinal cord injury. 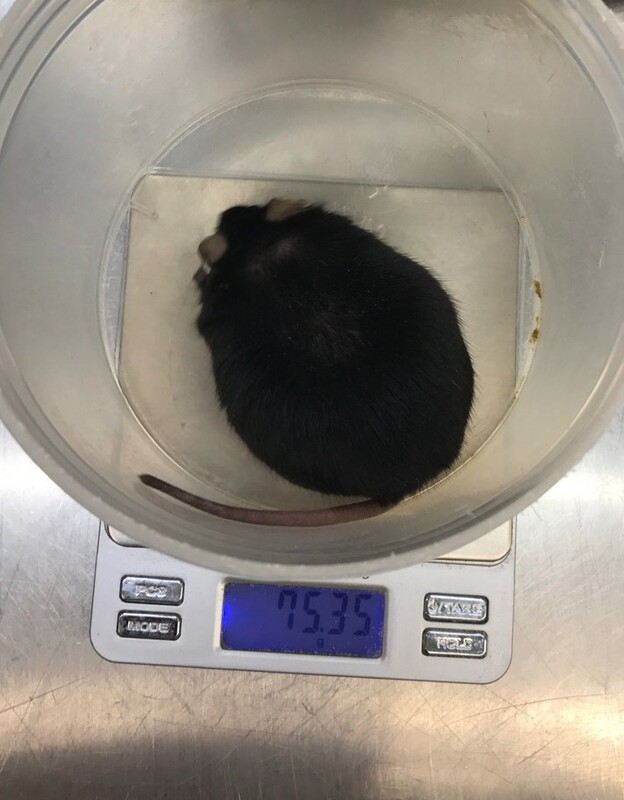 Currently my research subjects are rats; however, once our lab can ensure that low dose intermittent hypoxia is safe and non-harmful to humans, through my project and many others currently being conducted, we can transition our treatments from animals to humans. What was it like doing research in a lab? My research experience this summer was an eye-opening experience that, for the first time in my professional career, allowed me to devote all my time to the research I am passionate about. Conducting research in the lab alongside other undergraduate and graduate students, and post-doctoral fellows, was nerve-wracking yet very rewarding. When I first began my project, part of me was afraid to attempt tasks and techniques that were new to me for fear of ruining valuable data. However, to my surprise everyone in the lab was eager to help me in any way they could even if they were occupied with their own projects. I quickly learned that I would have to develop several techniques for my project to be a more independent and productive researcher. These techniques include immunohistochemistry (IHC) staining and imaging. Thus far, my experiment has been working, with all CTB injections, exposure treatments, perfusions, harvesting, and tissue sectioning going successfully. An unexpected mishap that occurred involved the immunohistochemistry staining. During our first IHC staining trial, we stained only a few of the tissues and had difficulty viewing the markers that were stained for when imaging. This was a result of having used an antibody at a wavelength of light that wasn’t appearing on the microscope. After reviewing literature and past protocols we decided on a different antibody that would produce better images. Although unfortunate, this setback demonstrated that while conducting research several things can go wrong but can just as easily be fixed. As for results, my project is still under the works as I have just reached the imaging phase. I have found my experience as a scientist this summer to be both rewarding and stimulating. Every day when I come into lab, I am eager to jump into my project and engage in conversation with other researchers about the impact all of our research could one day have. My days consist of running experiments, performing animal care, cutting tissue, and whenever I have down time, reading papers. The best part of my research experience is collaborating with other members in the lab. I enjoy listening to the advice and thoughts of the other researchers because it gives me other perspectives on things. The worst part about being a research scientist is probably accepting mistakes and figuring out how to solve the problems. I found working as part of the team to be an educational experience that helped me improve my communication and leadership skills. 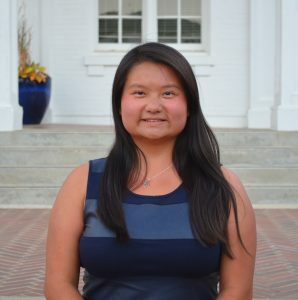 Juliet Santiago is a junior majoring in Microbiology and Cell Science at the University of Florida in Gainesville, FL. She is a 2017 Short-Term Research Education Program to Increase Diversity in Health-Related Research (STRIDE) Fellow working in Dr. Gordon Mitchell’s lab at the University of Florida in Gainesville, Florida. Juliet’s fellowship is funded by the APS and a grant from the National Heart, Lung and Blood Institute (Grant #1 R25 HL115473-01). 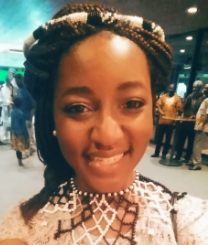 After graduation, Juliet plans to pursue a career as a biomedical scientist in industry or government.